In six years as general manager of the Philadelphia Flyers, Paul Holmgren had gotten used to getting the players he wanted. This summer, however, nothing went according to plan. Holmgren made big offers for free-agent forward Zach Parise and free-agent defenseman Ryan Suter, both of whom signed with the Minnesota Wild. And his brashest move -- signing Nashville Predators defenseman Shea Weber to a 14-year, $110 million offer sheet -- didn't work out when the Predators matched the offer. Holmgren also watched as Columbus Blue Jackets All-Star power forward Rick Nash landed with the division-rival New York Rangers, and the GM lost two of his own free agents -- top-line forward Jaromir Jagr left for the Dallas Stars, and puck-moving defenseman Matt Carle signed with the Tampa Bay Lightning. That comes on the heels of the team's disappointing five-game series loss to the New Jersey Devils in the Eastern Conference Semifinals. After the Weber offer sheet fell through, Holmgren expressed disappointment with how his offseason has gone, but recently said, "We believe we have a good, young team that is only going to continue to get better." Two reasons for optimism are Sean Couturier and Brayden Schenn, each of whom had solid rookie seasons and have raised the bar for Year Two. Couturier, the eighth pick in the 2011 NHL Draft, had 27 points in 77 games last season, but it was his defensive play that earned rave reviews. Couturier centered the fourth line last season, but he'll likely get more ice time this season, including extensive time on the power play, to better use his offensive gifts. Schenn had an up-and-down debut season that was limited to 54 games by injury, but he showcased himself in the playoffs with nine points in 11 games. He also appeared to find a home on the second line, playing left wing with center Danny Briere and right wing Wayne Simmonds. All-Star Claude Giroux will return as the top-line center, and the EA Sports NHL 13 cover athlete will look to follow a career season that saw him finish third in the League with 93 points. Scott Hartnell, who scored a career-best 37 goals last season, will return on the left side, with Jakub Voracek likely replacing Jagr at right wing. Ruslan Fedotenko, signed for his veteran experience, could fill a slot on the third line, alongside Couturier and Matt Read, who led all NHL rookies last season with 24 goals. The biggest change could be in the look of the defense. The Flyers went hard after Suter and Weber in part because of the questionable playing future of top blueliner Chris Pronger, who hasn't played since Nov. 19, 2011, because of a concussion. Nicklas Grossmann and Braydon Coburn formed a solid top pairing when Grossmann joined the team late last season, but an expected second pair of Timonen and Andrej Meszaros won't be available -- at least at the start of the season -- while Meszaros recovers from a torn Achilles tendon sustained during an offseason workout. 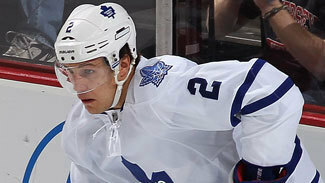 Luke Schenn -- acquired from the Toronto Maple Leafs for forward James van Riemsdyk in June -- could slide into the second pairing, with veteran Bruno Gervais and youngsters Erik Gustafsson, Marc-Andre Bourdon and Brandon Manning battling for the final spots. Andreas Lilja would also be in the mix, but he is expected to miss the start of the season after reportedly having hip surgery. The one position that will stay the same is the one place the Flyers would like to see change the most -- goaltending. Ilya Bryzgalov was brought in last summer and signed to a nine-year contract with the hope he could solve the franchise's long-term quest for stability in the net. While Bryzgalov played well at times -- he won his first three starts, including defeats of both 2011 Stanley Cup finalists, and he was NHL Player of the Month in March -- he was wildly inconsistent on and off the ice. However, with a year in Philadelphia under his belt, the organizational belief is the Bryzgalov that earned that big deal will return in 2012-13. 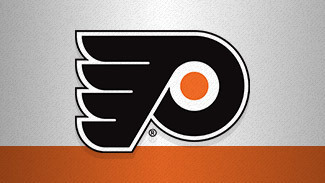 "I think Ilya has learned some things from one year in Philadelphia," Holmgren said. "He's learned a lot of things and we'll see a different person next year. I think we'll certainly see a different goaltender." A better Bryzgalov could make Holmgren's fall, winter and spring better than his summer.